One theme. Three esteemed speakers. And much, much more. See why you can't miss this year's event. The 2019 Sales Forum is all about connections. With a powerhouse lineup of keynote speakers like never before, you’ll learn how today’s hyper-connected consumers are elevating the importance of the customer experience and how your ability to connect them to an exceptional experience and the right solutions will determine your success. Get the economic trends, consumer insights and practical advice that will help you grow your business. With technology and social media connecting consumers like never before, delivering an exceptional customer experience is critical. 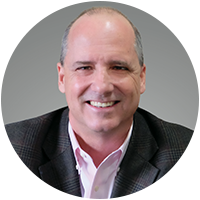 The 2019 Sales Forum explores how today’s hyper-connected consumers are changing the economy and how this impacts the insurance and financial planning industry. 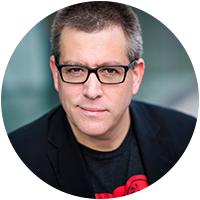 Peter Shankman, best-selling author and one of the most sought-after speakers on customer experience and the new and emerging customer economy, will speak on why the economy of the next 50 years will be run by customer service. 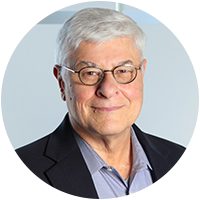 CEO at The Advisor Protocol, an in-demand practice management consultancy in the financial services industry, will share real-world ways to elevate the customer experience so that your customers become your biggest advocates. The economist known for the iconic 'Stock, Bonds, Bills, and Inflation' (SBBI®) chart that became the industry standard performance data reference, will share his ground-breaking research that fixed-indexed annuities (FIAs) may be an attractive alternative to traditional fixed income like bonds — a conclusion that has revived interest of and shed new respect on FIAs. You can grow your business by addressing the insurance needs Medicare clients have as they transition to retirement. Hint: It's more than Medicare. Learn how to take your financial planning practice to the next level by making sure you are using the right processes and tools for success. Our consultants can help you to take a 360-degree view of your practice and implement turnkey programs that will fuel game-changing growth in your business. The Omaha Marriott will be the home of the 2019 Senior Market Sales, Sales Forum. Nestled in the heart of the Capitol District, this luxurious downtown Omaha hotel is an urban destination with beautiful suites, upscale amenities and more. It's a great opportunity to connect with people that we do business with, to see friends, to build new relationships, and take some 1-on-1 time with folks who impact our business. They gave me some really good ideas that will help me tweak what I've been doing and been successful with. The technology that SMS has is phenomenal. People are very willing to stop, and listen and help. That's huge for me. The Sales Forum is only available to SMS agents who meet certain production requirements. To find out if you qualify, talk to your SMS marketer or request an invite here. If you do qualify, you will receive an email with a link to CVent to officially register for the event. The training is free to attend and we'll pay for your stay! Senior Market Sales will cover your hotel costs for the nights of June 3, 4 and 5. Nights outside of those dates will be at the agent's own expense. A travel cost reimbursement will be available to agents who meet production requirements. The 2019 SMS Sales Forum will be held at the new Marriott Omaha Downtown Capitol District. If you are coming from out of town, Senior Market Sales will pay for your room for the nights of June 3, 4 and 5. Please reserve your room during the online registration process. What is the weather like in Omaha, Nebraska? Temperatures in June can range from lows in the 70s and highs in mid-to-upper 90s. It's Nebraska where anything can happen. What is the attire for the Sales Forum? Can I get reimbursed for my travel? Will I be able to visit the SMS headquarters while I'm there? In an effort to bring you as much educational content as possible and make the best use of everyone's time, we are not scheduling any trips to the SMS headquarters in the agenda. Does the 2019 Sales Forum coincide with the College World Series? Sales Forum concludes the week before the College World Series begins. SMS is not planning any event or activities to correspond with the CWS. If you want to stay to catch a game or just sample some more of what Omaha has to offer, it's important to act quickly to reserve a hotel room. The opening weekend of the NCAA's College World Series is one of the city's premiere events, and hotels sell out months in advance. What can I do while I'm in Omaha? In addition to the training during the day, SMS will host a cocktail reception on Monday the 3th and dinner events on the 4th and 5th. Other than that, you are free to explore the city. The Marriott Downtown Omaha is in the heart of the new Capitol Entertainment District. Omaha is home to one of the nation's top zoos, and other top-ranked museums, restaurants and tourist attractions. Sales Forum is available to qualifying SMS producers. Request an invite and we'll let you know within 72 hours if you qualify to attend. Don't wait! This event fills up every year.